Now in its 16th year, the US war in Afghanistan is poised to escalate, as top leaders in the country call on Washington to increase its military footprint in the nation, both on the ground and in the air. Afghanistan's Foreign Minister Salahuddin Rabbani reacted positively to comments made by top US military commander in the region General John Nicholson on increasing the size of the troop deployment in the beleaguered country. About 8,400 US troops are currently in Afghanistan, according to military.com, engaged in training local militias to fight the Taliban and other extremist groups, including Daesh. US military forces are also routinely called upon to put themselves in harm's way by performing counter-terror missions in the area. Rabbani suggested that "military shortfalls" within Kabul's ranks make the increased troop deployments in the country necessary. According to the top Afghan diplomat, a 12-nation conference on Afghanistan hosted by the Kremlin is currently in the planning stages. The US State Department has not confirmed whether it will accept an invitation to attend. 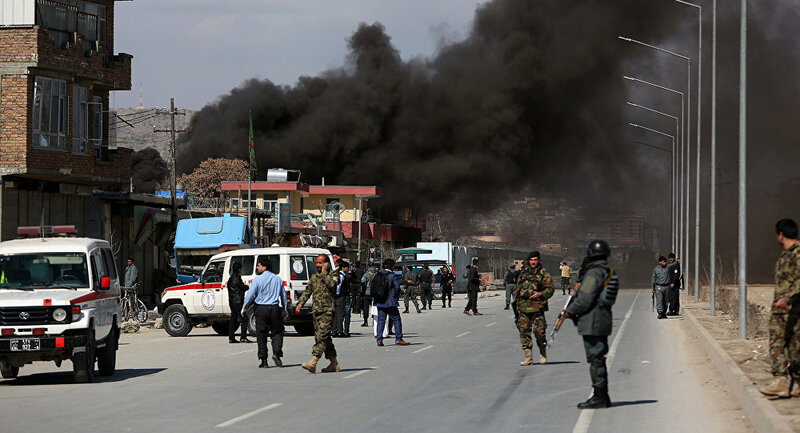 The Afghan foreign minister also asserted that Moscow and Tehran have been in contact with the Taliban in efforts to encourage the militants to return to the negotiating table, while denying that either country has provided the extremists with material support.